It is no secret that copyright holders are monitoring unauthorized BitTorrent downloads around the world. In most cases, this results in harmless takedown notices but increasingly, these warnings are triggering settlement demands or automated fines. Movie distributor Dutch Filmworks is planning similar action in the Netherlands. The company initially hoped to send the first settlement demands more than a year ago, but this plan was stalled. Without voluntary cooperation from ISPs, the movie company had to get a court order to request the personal details of account holders whose IP-addresses were caught pirating. It turns out that this is not going to happen, at least not yet. In a decision published today, the Central Netherlands Court denied the request from Dutch Filmworks, following an objection from local Internet provider Ziggo. 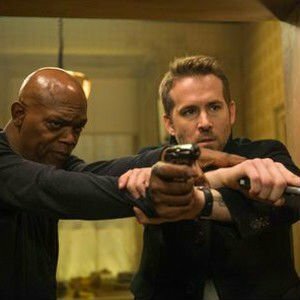 The movie company requested the personal details connected to 377 IP-addresses which allegedly shared a copy of‘ ‘The Hitman’s Bodyguard,’ a title that has come up in so-called “copyright trolling” cases in the US as well. In its conclusion, the Court states that is it indeed against the law to upload or download movies without permission. As such, Dutch Filmworks is entitled to damages. And to request damages, it does indeed require the personal details of account holders. However, the Court adds that, in this case, Ziggo is not required to share any personal information. The verdict notes that it’s unclear how the movie company plans to approach the account holders, and whether it sees these people as the offending downloaders. According to the Court, an account holder who’s linked to an IP-address is not necessarily the downloader. This is an argument we’ve seen in many foreign cases as well. On top of that, it is unclear whether the proposed settlements, which are expected to be around €150 per infringement, do indeed match up with the actual damages the movie company suffered. That number may be a ‘fine’ to some extent, which shouldn’t be part of a settlement. “The amount that [Dutch Filmworks] DFW now wishes to receive, presumably € 150, – is, however, in no way substantiated and it is not excluded that in the amount of damage to be requested by DFW also elements of a fine,” the verdict reads. All in all, the Court sides with Ziggo. The ISP doesn’t have to expose its users and Dutch Filmworks is ordered to pay the costs for the court proceedings. A spokesperson for Ziggo told the Dutch news site Nu.nl that the company is “satisfied” with the result. Dutch Filmworks refrained from commenting at this time and will issue a statement next week. Considering the time and resources that have gone into the data collection, as well as the fact that local anti-piracy group BREIN plans to go after frequent BitTorrent uploaders, this is probably not the last we’ve heard of it.